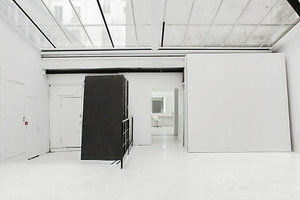 This wonderful 400 sq m showroom is located in the prime area of Invalides near rue Saint Dominic and is a great location for Fashion Showrooms, Events and Photoshoots and Film Production. 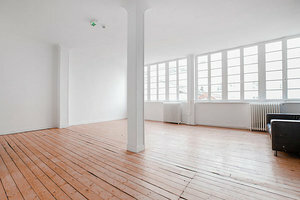 The space boasts high ceilings with multiple windows which gives it a loft-like style and a bright atmosphere. With white walls, wooden floors and black curtain divides, the interiors are contemporary and create a stylish and flexible space. 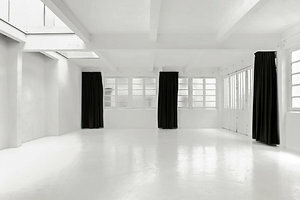 With two additional rooms, one a breakout space and the other a hair and makeup area, this studio is an adaptable and welcoming venue for a range of events. Close to Invalides Métro and surrounded by landmarks, useful amenities and much more, this is an impressive space ideal for brands, artists and designers to host unique events.